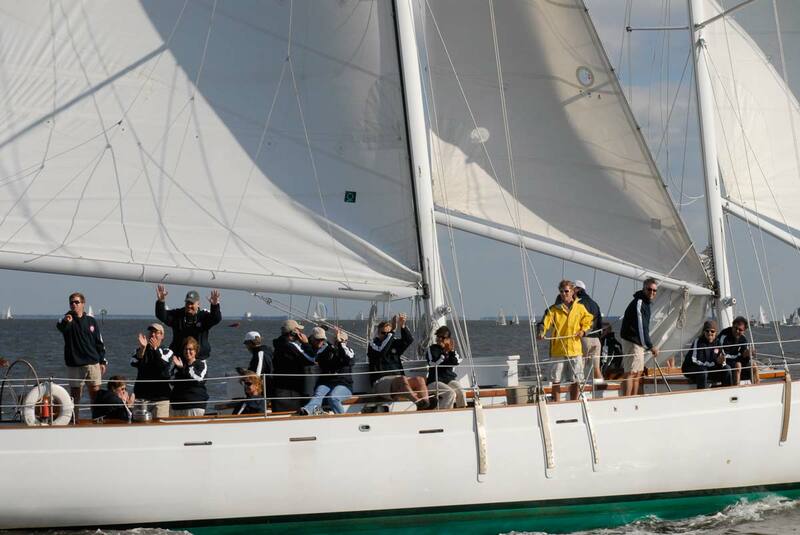 Team Fun - Team Building Programs Under Sail in Annapolis, Maryland! 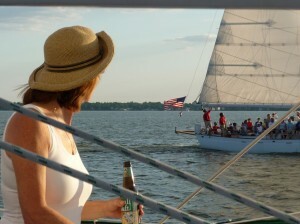 Enjoy a spectacular day sailing the Chesapeake and participate in an informative sail-training program! Ideal for groups looking for a relaxing day sailing on the Chesapeake, yet who want a more informative and hands-on experience than just a pleasure cruise. Learn the basics of sail training from our experienced crew, or simply sit back and enjoy the experience! Want a more intense and hands-on program for your group? Try our Team Challenge Program. 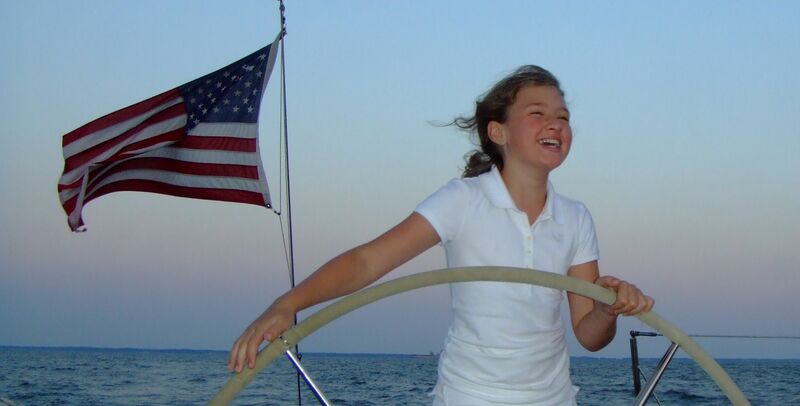 Enjoy the beautiful Chesapeake Bay aboard Woodwind! 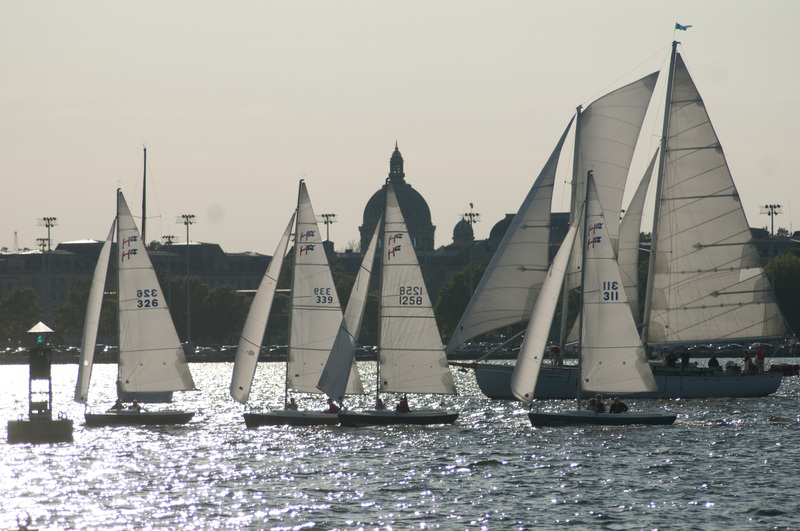 Help the crew set sail right in Annapolis Harbor, sail past the US Naval Academy and out into the Bay! 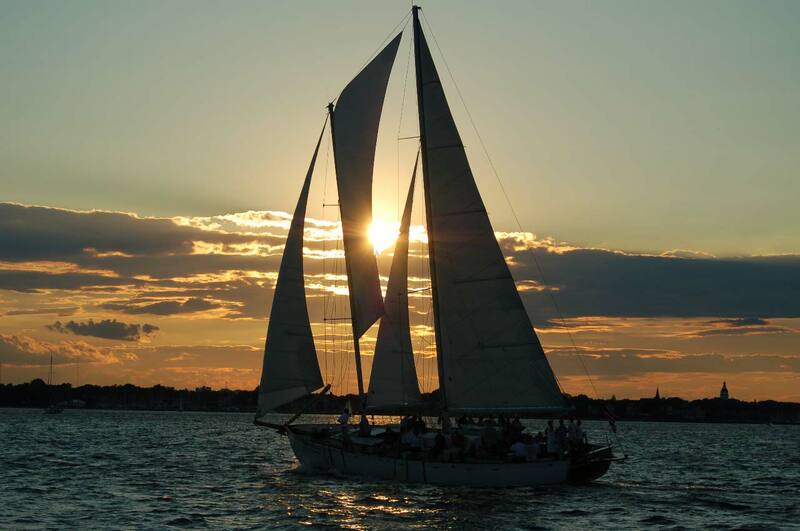 Our friendly and professional crew can teach your group about the nuances of sailing a 74-foot schooner. Choose to learn sail trim, basic navigation and how to steer the boat, or simply enjoy the ambiance! The ‘Team Fun’ option is the best way to foster camaraderie in a fun and exciting environment. 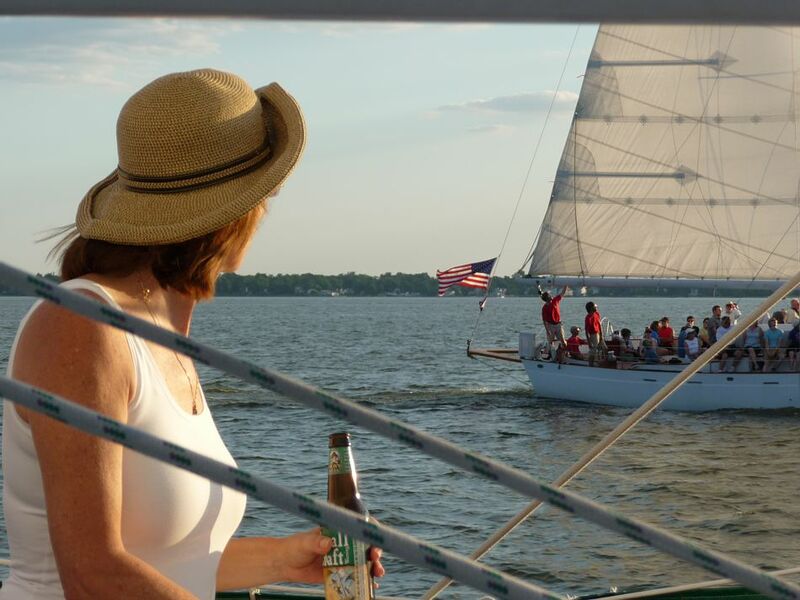 It’s perfect for smaller groups looking to experience the satisfaction that comes with learning how to sail as a team, all while enjoying a relaxing day on the Chesapeake! 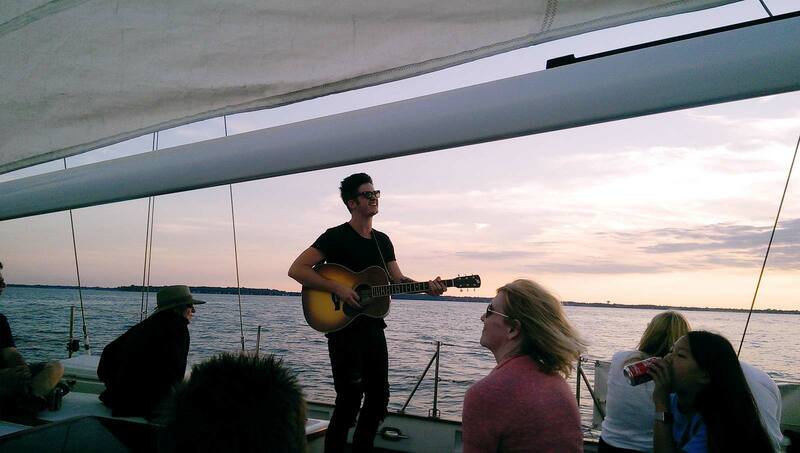 We can even customize your cruise to include catering, local craft brews and wine! Delicious Catering, Wine & Local Craft Brews! The ‘Team Fun’ option offers your group extensive catering options. All of our food is prepared by Palate Pleasers in Eastport, and the menus are customized for ‘Woodwind’, ideally suited for the boat. You may choose from pre-planned combinations such as the ‘Gourmet Gangplank’, or order from our a-la-carte menu. From simple bagged lunches and snacks, to gourmet appetizers and full buffet meals, we can customize your menu to be as unique as your group. Woodwind also proudly serves the best brews on the Bay, featuring 4 microbrews from the local area, as well as 3 choices of wine from our on-board bar! And don’t forget the Woodwind specialty drink! Woodwind specializes in making your trip truly unforgettable! We have several additions to our team building programs that will make your trip truly unique! End your cruise with a crab feast at Jimmy Cantler’s Crab House! Indulge with a beer, wine or our new fruity signature specialty drink! Enjoy a champagne toast at the program’s conclusion!